This past weekend I traveled to Luxembourg for a conference where around 100 Uni (no one calls it college) students gathered to discuss the future of the EU. There were students from Denmark, Ireland, Romania, Germany, etc. discussing challenges and decisions the EU will face in the next 20 years. As much as I love political discussions of this nature, I wasn’t terribly familiar with some of the topics, but found it immensely interesting to hear lecturers and participants debate the acceptance of Turkey into the EU and whether or the EU should have a standing army. We also toured Luxembourg City and dined on the same boat the Schengen Agreement, which opened the borders of EU countries, was signed. The trip was enlightening and provided a good opportunity to meet European students as well as other EBS students. This week happens to be the biggest week of the year at EBS. An event called Symposium takes place Wed-Sat and consists of workshops, lectures, firm presentations (EBS students are heavily recruited in Germany) hosted by CEO’s, CFO’s and other hotshots from the biggest German and International companies based in Germany. The ex-chancellor of Germany is even coming. The most bizarre part to me is the Fire and Ice party Fri. night for all students, alumni, lecturers, firm representatives where everyone is dressed according to the theme(Fire and Ice), drinks cocktails all night, but the wildest part is that this is the part of the Symposium when most students receive job offers, internships, etc! 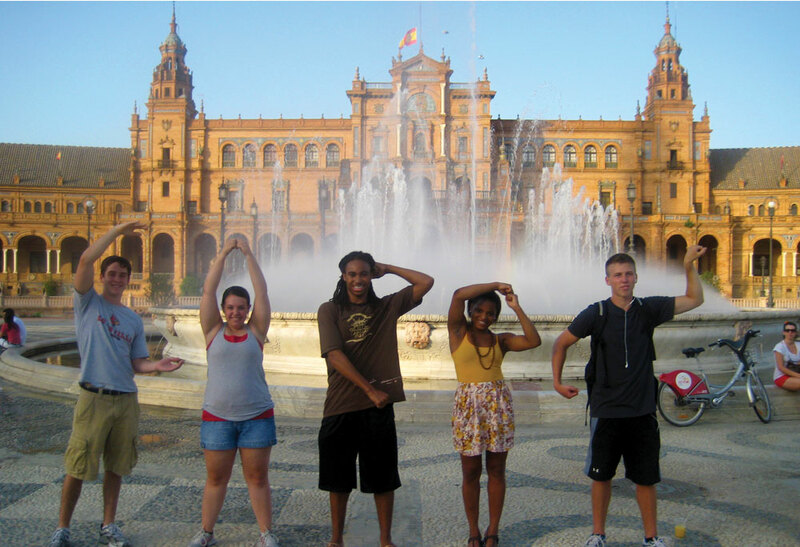 This entry was posted in Study Abroad by mkwimsatt. Bookmark the permalink.